It's less than a week until tax day. Does that make you think of your HSA? If not, maybe it should. Here are some questions to ask yourself. Did you have coverage under an HSA-qualified high deductible health plan (HDHP) in 2018? If so, did you contribute money to an HSA during the year? And if you did make contributions, did you contribute as much as the IRS allows? 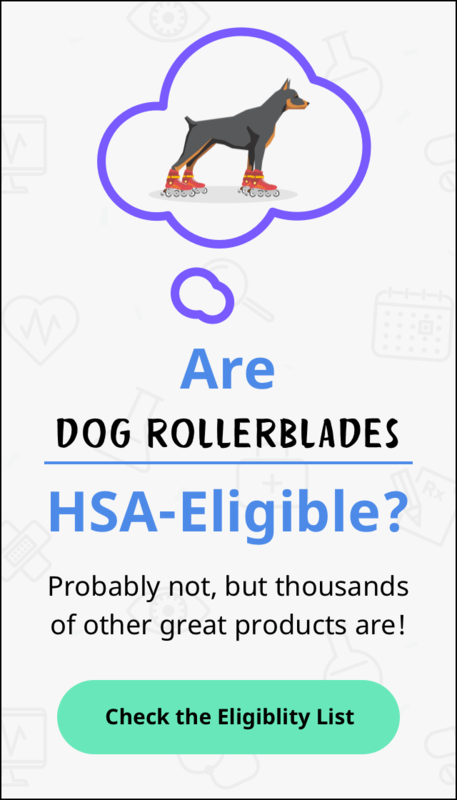 Probably not, if you're among the majority of HSA owners. According to an Employee Benefits Research Institute (EBRI) analysis, only 13% of HSA account holders contributed the maximum allowable amount in 2017. In 2018, total contributions could be up to $3,450 for people with self-only HSA coverage, and up to $6,900 for people whose HSA covered at least one other family member. For 2019, those limits have increased to $3,500 and $7,000 (if you're 55 or older, you can contribute an extra $1,000 each year). ...And it's one with a triple tax advantage: Money that you put into the account is pre-tax (either via pre-tax payroll contributions, or via a deduction on your tax return), dividends, interest, and investment gains in the account will accumulate tax-free, and withdrawals are tax-free too, as long as you use the money for qualified medical expenses. Once you turn 65, you can withdraw money from your HSA for anything you want, without a penalty, although you'll have to pay income tax on the withdrawals if you're not using them for qualified medical expenses. But that means the HSA can be used like a traditional IRA once you're 65, so it can serve as a backup retirement account if that's your preference. Those are some impressive benefits, but you only get them if you fund your HSA. Fortunately, the IRS gives us a few extra months to get our HSAs funded each year: You have until April 15, 2019 to make some or all of your HSA contributions for 2018. And even if your HDHP took effect mid-year (as late as December 1), you can opt to make the full annual contribution to your HSA for 2018, as long as you also maintain HDHP coverage throughout 2019 (here's an overview of the rules on that, with details about the contribution options you have if your HSA was only in effect for part of the year). So if you were HSA-eligible in 2018 and you haven't fully funded your HSA for 2018, take a few minutes when you're filing your taxes to see how much it would change your total tax burden if you bumped up your HSA contribution for last year. You might be surprised at how much your contribution will "pay for itself" via a lower tax bill or larger refund. Keep an eye on your 2019 contributions too! If you're getting a tax refund, consider using that money to fund your HSA for 2019 (or for 2018, as long as you do it by April 15). If your HSA contributions are made via payroll, you can earmark your tax refund for things that you would normally have to cover with your paychecks, and then ask your employer to increase your HSA contributions, either temporarily or for the rest of the year, so that your total contributions for 2019 come as close as possible to the contribution limit set by the IRS. And remember that since the HSA contributions are pre-tax, the hit to your paycheck might not be as much as you're expecting, since taxes would have eaten up a chunk of that money if you had opted to receive it in your check instead of directing it to your HSA. Tax season is an excellent time to check in on your overall financial goals, including your HSA goals. It's your last chance to fund your HSA for last year, and it's a good opportunity to make sure you're on track to fund your HSA for this year, especially if you're expecting a tax refund. And while you're thinking about funding your HSA, it's also a good time to remind yourself that the purpose of an HSA is to ensure both financial and physical health. So check in with yourself and make sure that you're also spending your HSA funds, when doing so is the wisest option. Tax Facts is a weekly column offering straight up, no-nonsense HSA tax and finance tips, written in everyday language. Look for it every Tuesday, exclusively on the HSAstore.com Learning Center. And for the latest info about your health and financial wellness, be sure to follow us on Facebook and Twitter. Tax Facts: When is the right time to take money out of your HSA?